Olaf Otto Becker’s sublime and spectacular photographs address changes in the natural environment arising from climate change and other human influence. His works bring together a personal and artistic approach to documentary photography, raising questions about social and cultural issues in our time. 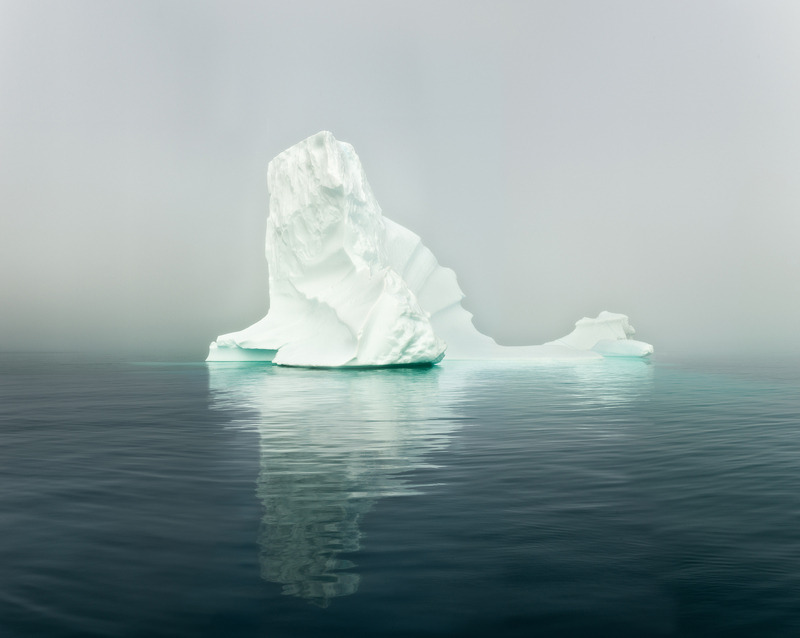 The exhibition Ice and Land – Photographs from Iceland and Greenland 1999–2017 brings together works from acclaimed photographic projects by Becker, which have also been published in book form. They are drawn from Under the Nordic Light: A Journey Through Time: Iceland 1999–2011, which focuses on the Icelandic landscape and how it changes over time, and from three projects from Greenland: Broken Line (2007), Above Zero (2009), and the newly-published Ilulissat – Sculptures of Change—Greenland 2003–2017. These all explore the effects of global warming, and how we witness that process as we watch the glaciers melt. The images from Iceland are displayed singly and in pairs: they depict the same locations, from the same perspective and in the same light conditions, 10 to 12 years apart. They clearly document the changes that have taken place in the Icelandic landscape due to development for power projects as well as global warming. Other images show only minimal change. In Greenland the photographer embarked on physically strenuous, sometimes life-threatening journeys – for instance by rowing boat on the Arctic Ocean, on the edge of glacial crevasses and among melting ice floes – always carrying his cumbersome large-format camera. Becker’s magnificent portraits showcase the overwhelming beauty of this icy landscape, while documenting its present fragile state. Dust and rust in the air form black, crusty deposits, which, in conjunction with global warming, accelerate the melting of the ice sheets – with what will probably be inevitable, catastrophic results. Olaf Otto Becker was born in Germany in 1959. He studied communication design, philosophy and politics. Since 2003 he has been working freelance on his own projects. His landscape photographs are often published in the New York Times Magazine, and they are exhibited around the world at international photography festivals as well as in museums and galleries. His work is also found in many private and public collections. During the exhibition a lecture by Becker on these photography projects is screened in the viewing-space Kubburinn (the Cube).